Prerecorded messages that come with an assurance of callback or ask a caller to follow a certain set of instructions annoy customers like anything. Such messages not only lack the human touch but also make a customer feel that you are doing away with very basic service formalities. On the other hand, interaction with your service executive allows your customer to reinforce the trust that he has reposed in your services. We, at Vcall Global, understand that the satisfaction of customers means more than anything to an enterprise in today’s world. 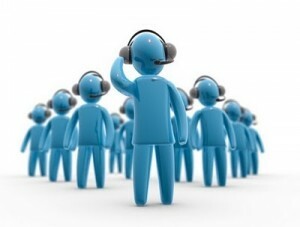 Our dedicated service executives are ready to help out your customers at any time of the day. Our inbound call center services representatives not only make your customers comfortable but also provide relevant solutions to their problems. Significant improvement in the quality of service.